Reusable polycarbonate canister for use with disposable CRD liner. 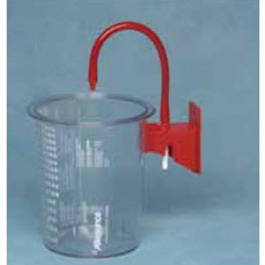 Wall to outer edge of 1000cc canister measures 8 inches. Wall to outer edge of 1500cc canister measures 9 inches.